Currently approximately 25% of South Africa’s children under the age of 5 are stunted through undernourishment and malnutrition. Research shows that stunting (short height for age) is proxy for poor cognitive development and that stunting at age 2 is the single best predictor of an adult’s economic potential. 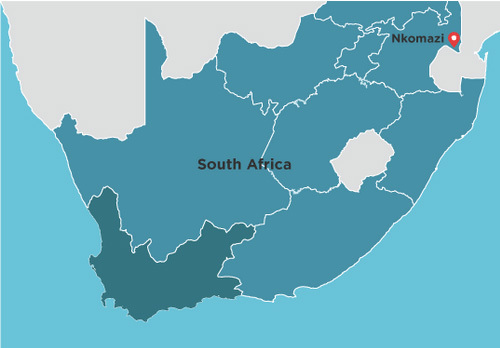 South Africa’s high rate of stunting means that 1 in 4 of our children will perform poorly in school, be unlikely to complete high school and are likely to join the ranks of the unemployed. Scientific evidence proves that the first few years are the most important in a child’s life as 90% of brain growth and development takes place between conception and the age of 5. If we want to arrest the poverty cycle and give children back the future they deserve, we need to #DoMore to ensure that those at risk have access to proper nutrition and other essential services. For the past few years we have been working with RCL FOODS employees, Early Childhood Development (ECD) forums and Department of Social Development (DSD) officials in the Worcester area of the Western Cape, empowering them with positive parenting skills to strengthen family bonds and reduce children’s vulnerability. More recently we have been focusing on empowering ECD teachers from the community, in collaboration with WordWorks and FCW (Western Cape Foundation for Community Work). Using the Wordworks ‘Every Word Counts’ early literacy and numeracy programme, a monthly workshop is conducted. Here, participants get actively engaged in practical activities that they can use to support young children in developing the foundational skills they will need to learn to read, write and do maths. 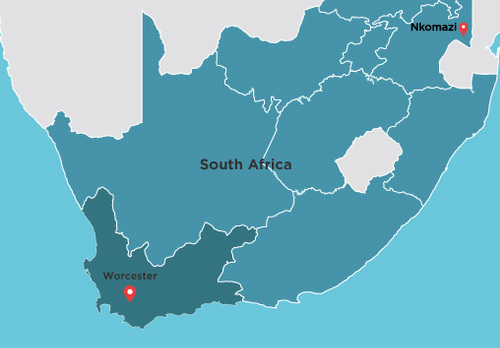 The DO MORE FOUNDATION further supports the Worcester community through the weekly #LovePlayTalk radio programme on Valley FM, and developed by Ilifa Labantwana. Each week the show hosts a guest speaker who deals with a different topic to help parents give their children the best possible start in life. The Leave No Young Child Behind initiative aims to drive a significant improvement in the wellbeing of young children in Nkomazi, particularly wards 16 and 19 where the majority of young children have not been accessing essential ECD services or realising their rights and needs – making it unlikely that they will ever reach their potential and escape the poverty cycle. The Leave No Young Child Behind Initiative seeks to change this by mobilising stakeholders from inside and outside the community and facilitating universal access to a comprehensive ‘package of quality services’ that meet young children’s developmental needs in line with the National Integrated Early Childhood Development Policy approved by Cabinet in December 2015. This is of critical importance since both wards have been identified by the Comprehensive Rural Development Programme as poverty nodal sites needing urgent intervention. The DO MORE FOUNDATION also supports the Nkomazi community with weekly #LovePlayTalk radio programme on Nkomazi FM. The DO MORE FOUNDATION is supporting the Grow Great initiative at both a strategic as well as local implementation level in Nkomazi and Worcester. The Grow Great initiative is focused on halving the national prevalence of stunting of children under two within a decade. Stunting, defined as height-for-age less than two standard deviations of the World Health Organization’s (WHO) child growth standards median is a condition where young children do not reach their growth potential due to chronic nutritional deprivation and is associated with lifelong cognitive defects, educational and employment challenges, increased risk of chronic diseases in adulthood and cycles of intergenerational poverty. The prevalence of stunting among South Africa’s children is worryingly high, with prevalence rates estimated at 31% in children under the age of five far higher than would be expected for an upper middle income country and far higher than many of South Africa’s developing country counterparts. The determinants of stunting are not limited to an absolute lack of food alone but perpetuated by both nutrition sensitive and nutrition specific factors such as poor maternal health (pre & post pregnancy), poor breastfeeding and complementary feeding practices, poor hygiene and sanitation, gastrointestinal infections and/or worms, a lack of dietary diversity and the purchasing power of low-income households. Although the burden of stunting attributable to the various risk factors is not clearly defined for South Africans, South Africa performs poorly on many of the known key drivers, suggesting that through a concerted multi-pronged approach there are some substantial wins to be made in this area with potentially high gains for South Africa’s children – this is where the DO MORE FOUNDATION will be assisting at a local level.